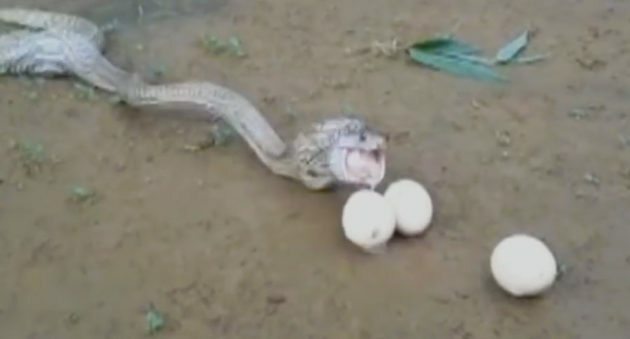 You have to see this cobra throw up these eggs in a dramatic fashion. We’ve all been there. We scarf down too much food and come to the sudden realization that our eyes were bigger than our stomach. That’s exactly the case in the video below of one unlucky cobra. This snake was enjoying a fresh egg lunch right up until the moment that pesky old gag reflex kicked in. Turns out six eggs was one too many for this fella, who proceeded to revisit his lunch in amazing fashion. For your viewing pleasure, feast your eyes on the video below to see what happens when a cobra eats a bit too much.